Not looking good for Tiger Woods…. NY Post has access to Tiger Woods’ DUI dashcam footage that was recently released. Dashcam footage was released Wednesday night showing a dazed and confused Tiger Woods wobbling around and slurring his words as he attempts to speak with cops during his DUI arrest. The golf star can be seen on video failing his roadside sobriety tests and struggling to keep his eyes open after officers found him passed out behind the wheel of his busted-up Mercedes-Benz early Monday in Jupiter, Fla.
At one point, Woods — who is decked out in his signature Nike apparel — is asked to recite his ABCs, but instead of doing so, he starts randomly walking away. “Mr. Woods, you don’t have to walk anywhere,” an officer can be heard telling him. “What, what are we doing?” Woods asks, stuttering. The footage, which was released by the Jupiter Police Department, shows the golfer’s entire arrest from start to finish. According to reports Keshia Knight-Pulliam filed a motion requesting child support for 5 month-old daughter Ella be taken directly from Ed Hartwell’s NFL pension because he’s continuously late on payments. In addition Keshia wants Ed thrown in jail for contempt because she hasn’t received a payment for May. Keshia also accuses Ed of preventing her from leaving the country for work because he won’t sign off on papers allowing their daughter to travel. Earlier it was reported, The Los Angeles home of Cleveland Cavaliers star LeBron James has been vandalized with a racial slur, according to TMZ. Multiple reports state that James’ home in L.A.’s Brentwood neighborhood had a racial epithet scrawled on the front gate. On the eve of the NBA Finals, James spoke about the incident during a press conference Wednesday afternoon. He stressed that “racism will always be a part of the world and of America” and how Americans still have a long way to go. Angela Rye Discusses Trumps Ties To Russia, Banking Black & Why Jeff Sessions Is Setting Us Back On The Breakfast Club Power 105. 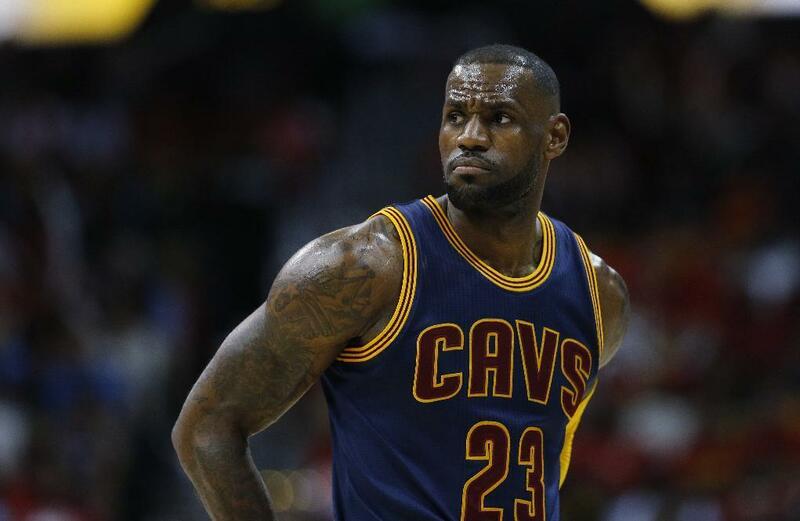 LeBron James’ L.A. Home Vandalized With N-Word Graffiti, Hate Crime. In sports news, The Los Angeles home of Cleveland Cavaliers star LeBron James has been vandalized with a racial slur, according to TMZ. James does not live in the house and was not believed to be in it at the time. Police were called to the house early Wednesday morning and the epithet has been removed. James and the Cavaliers are in the Bay Area to take on the Golden State Warriors for Game 1 of the NBA Finals. According to reports Gabrielle Union has teamed up with movie producer Will Packer to produce a new film called Breaking In. In the movie Gabrielle stars as a woman protecting her family during a home invasion. Breaking In starts filming in July.